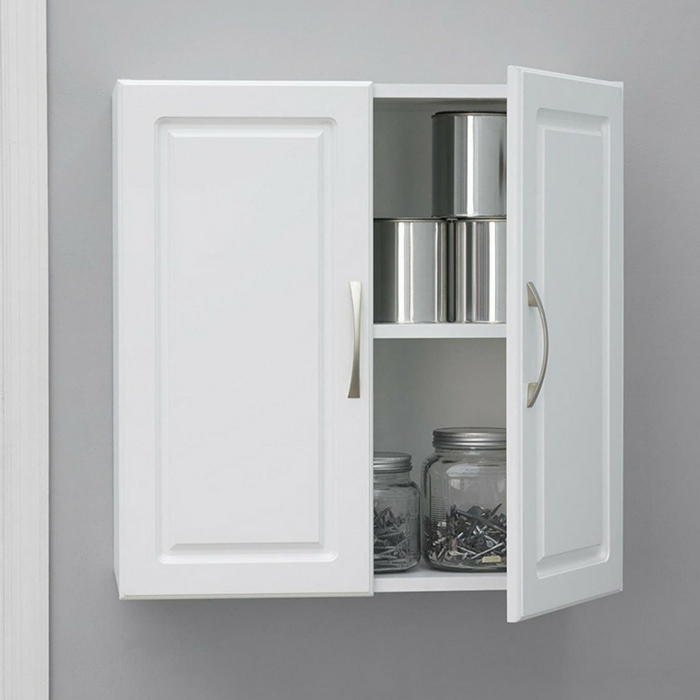 24" Wall Cabinet Just $57.54! Down From $101! PLUS FREE Shipping! You are here: Home / Great Deals / Amazon Deals / 24″ Wall Cabinet Just $57.54! Down From $101! PLUS FREE Shipping! 24″ Wall Cabinet Just $57.54! Down From $101! PLUS FREE Shipping! Amazon is currently offering this 24″ Wall Cabinet for just $57.54 down from $101 PLUS FREE shipping! The SystemBuild Kendall 24” Wall Cabinet allows you to add extra storage space to any room in your home or garage. The interior of this Cabinet features 2 shelves. One of the shelves is adjustable so that you can space it to meet your storage needs. The 24” Wall Cabinet features a crisp white finish that creates a refined, clean look in your home. Use this piece as a stand-alone item, or combine it with additional SystemBuild Kendall storage items to create the perfect storage solution for your home.